Writing workshops are run in schools, several clubs, and in our studio during the school holidays and in term time on weekends. There are personal trainings as well as group sessions. 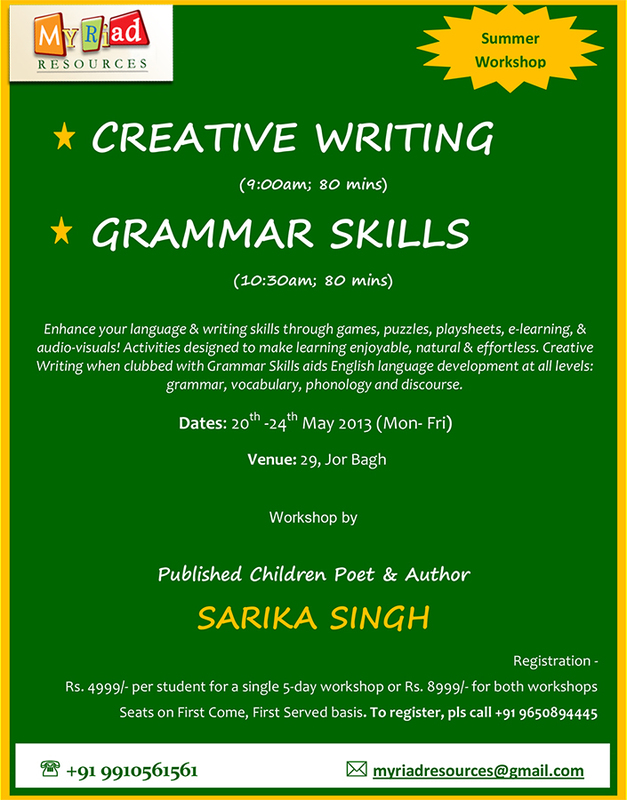 Each course is individually designed and planned to help develop your child’s interest in writing. The workshops are for all kinds of young writers, from the ones who hesitate over every word, to the ones who have a 200-page novel in their bureau drawers; and also everyone in between. The writing worksheets and interactive presentations spark ideas and help learn how to play with words and juggle with language. The skills developed through creative writing workshops perk up literacy abilities, egg on creative-thinking and build confidence. They also helps reinforce some of the key stages in literacy your child will have been taught at school. Workshop size is limited to ensure that each child receives ample guidance and pointers. Parents: At Myriad, your children enjoy individual attention, fun writing games, interactive exercises, and best of all, completing wonderful original pieces of writing with the help of a published poet and author! Kids: Do you love the idea of developing your first piece of writing and submitting into your school magazine? Or are you a prolific writer wanting to polish your skills and exceptional new pieces? Or have you shirked writing for any reason and would like to connect a community that can transform your entire attitude towards writing? 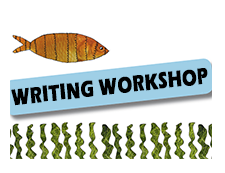 Join the first workshop and discover the joys that writing has to offer!